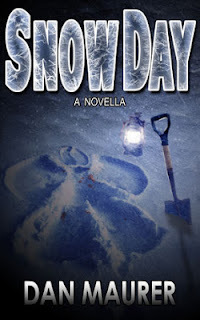 Snow day is a novella that is told like a spooky campfire story told to children. It also reads like it could be a child’s nightmare. I really enjoyed the writing of this novella. Mr. Maurer did a wonderful job of setting the tone of the story. It was spooky throughout the whole story and had a hint of doom around each corner. 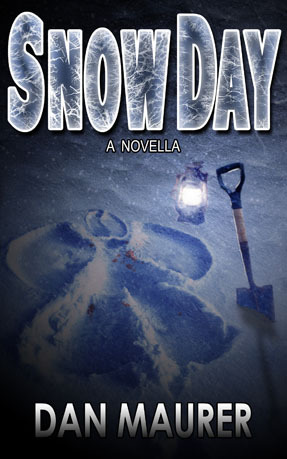 It tells the story of one snow day. Usually snow days are days that children love more than none other. What could beat getting out of school for the day and being able to play in the snow? Not much! But when things go in a horribly wrong direction that leaves the main character haunted for life, snow days aren’t something to be excited over anymore. Some parts are a little silly, and some parts are very gorey (the ending for sure!). But, there is just something about this story that keeps you holding on until the very end. It captivates your mind by drawing very explicit mental images, and I think that is where the skill of the writer comes in. If you are into spooky and somewhat unsettling novellas, this one is for you! 5/5 stars. Kept me hanging on until the end, and Dan Maurer did a wonderful job with descriptive writing.